Do you love Smith Lake? Do you have a large following on social media and feel you are seen as an influencer? If so, you sound like THE PERFECT fit for our brand ambassador team. Basically a brand ambassador helps us spread the word about our mission and the products we offer for lake living on Smith Lake. 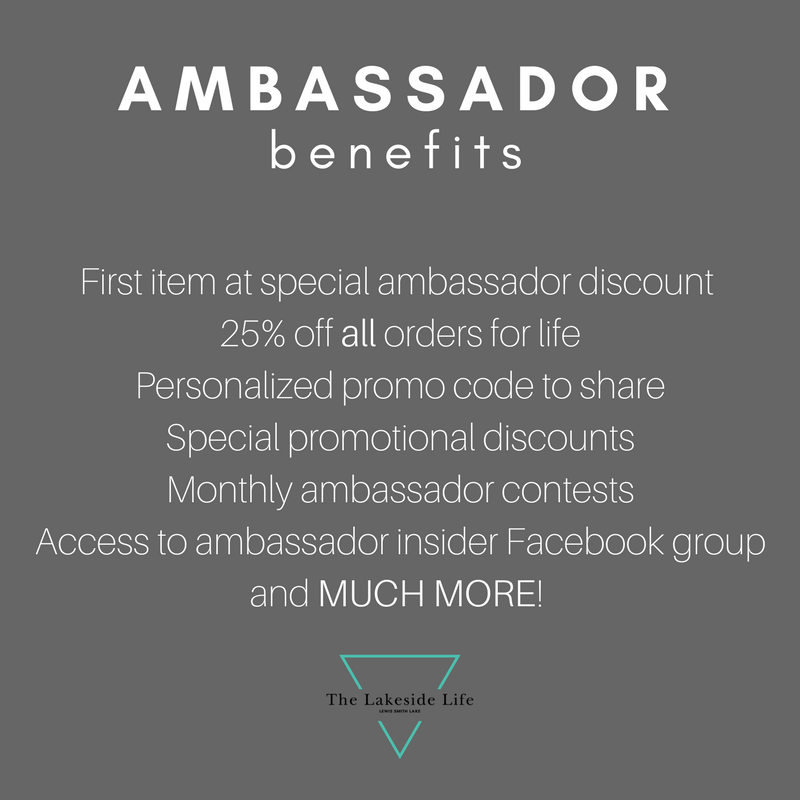 You will recieve a discount on all products as well as receiving special discounts and freebies as you bring more people to love The Lakeside Life. You will be a member of our team who can meet with us once a quarter to contribute your thoughts and ideas to the team, and you will be given items to assist in your support, and credited for all your input publicly. Also let us know if you would like a lead role on the Ambassador team. Join us! Think you would be a good fit to our team? Fill out the form to apply to be a brand ambassador for us today!